• It is fitted for continuous running in one direction. overseas standards is of heatproof class 130 (B). 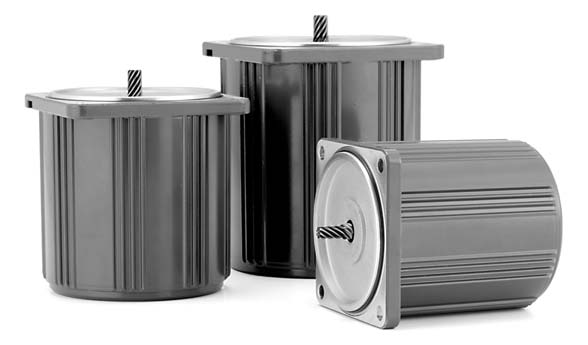 • Because it is a capacitor-type induction motor, it has a high power factor and runs with a low noise level. 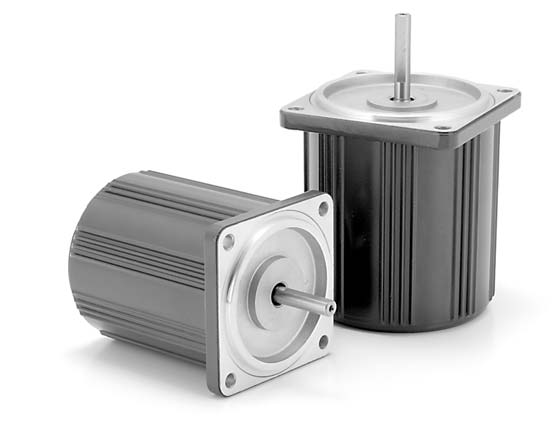 The induction motor cannot make a quick-reversal run because of the torque acting in the opposite direction. Therefore stop the induction motor once, change the wire connections and make a reverse run. • A quick-reversal run is possible. • Because of balanced winding, it offers the same performance at both normal and reverse runs. • The time rating is 30 minutes. the wire connections and make a reverse run. 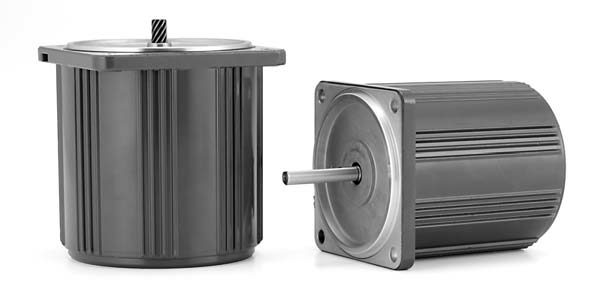 • The 3-phase motor is an induction motor for 3-phase power. • It is suitable for holding the load. Because the electromagnetic brake is off, when the power is turned off, it will be activated and hold the load securely. • The brake can be used as an excellent safety brake. Among the examples are emergency braking at the time of power failure, load holding for a long period of time and the prevention of free-run of the machine. • The brake will be activated instantly. The overrun is only 2 to 4 revolutions when the motor is used alone. and 90 to 1700 r/min for 60 Hz). • Various functions such as variable speed, braking, normal/reverse run and soft-start/soft-stop are available. • Feedback control with the built-in tacho-generator gives a constant speed despite of frequency change. 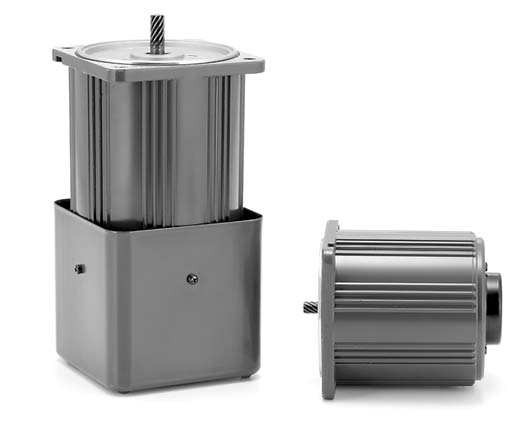 • The motor output is 3 W to 90 W.
• It is a variable speed motor containing a simple brake mechanism. 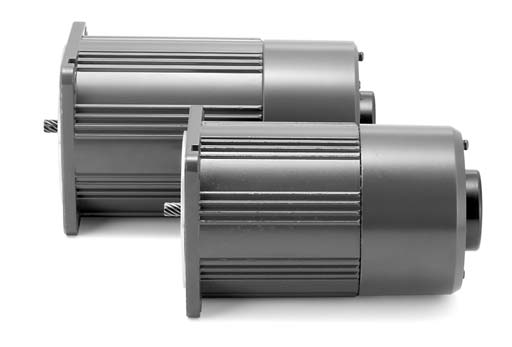 • The motor output is 4 W to 90 W.
• It is an electromagnetic brake variable speed motor. and 90 to 1700 r/min for 50 Hz). by using it together with a speed controller. • The motor output is 6 W to 40 W.
* For the method of using the electromagnetic brake, refer to the electromagnetic brake motor (page B-168). 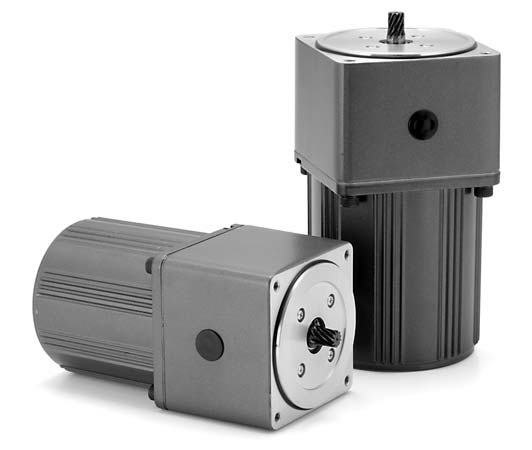 • A variable speed motor is combined with a one-touch connection speed controller. 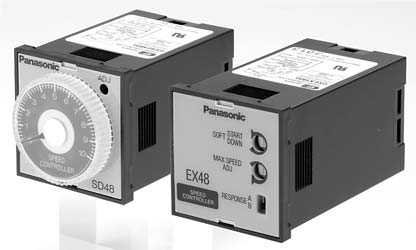 • The speed controller is available in an analog setting type (MUSN series) or a digital setting type (MUXN series). without extension cable and instruction manual attached. Option cable can be ordered as necessary (p. D-4). 1. The speed can be set digitally. 2. The motor speed can be converted to the gear head speed and conveyor speed instantaneously. 3. The actual speed can be displayed digitally. • It is best fitted for high-frequency operation. • High-reliability gear head used It can withstand two million cycles of start/stop. • Excitation-type clutch and brake The clutch and brake of the C&B motor is of excitation type and operates on 24 VDC. • Various types of gear heads are available. • The X type is available in a metal bearing model and or a ball bearing type. available for the Y and Z types. When the decimal gear head (reduction ratio: 1/10) is used, a reduction ratio of up to 1/1800 (1/2000 for the Y and Z types) can be attained. • The X type and Z type of 90 mm sq. are available in right-angle type. 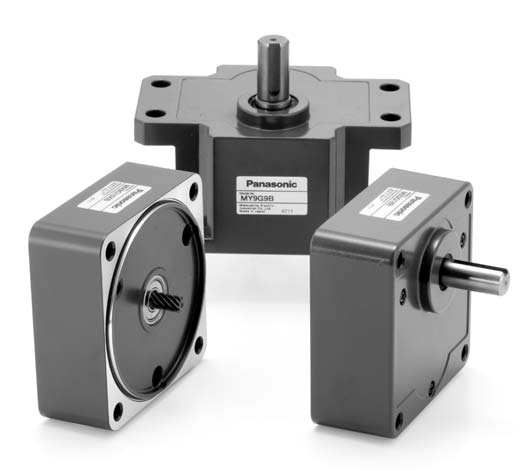 • These controllers vary speed of compact geared motors. • The lineup of the speed controllers is divided into the following 4 types to meet various applications and configuration. 3. Unit type speed controller A set of a motor and speed controller: Both can be connected through a single-touch connector. • Internal speed changer Motor speed can be adjusted from the speed setting knob on the front panel. Not necessary to install and connect an external speed changer to the controller. • Electric brake enables instantaneous stop. • Compact 8P plug-in configuration. • Variable installation options are available. 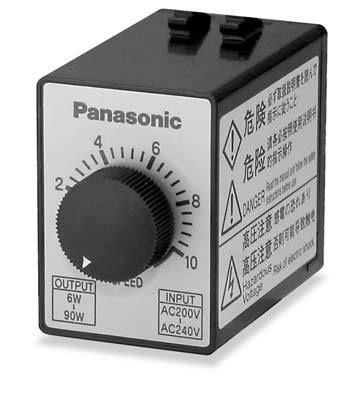 Terminal blocks, sockets and other various options (from Panasonic Electric Works Co.,Ltd.) for panel board can be used. • Soft-start/soft-down Time can be adjusted up to 5 seconds. Excellent soft-start/soft-down linearity. 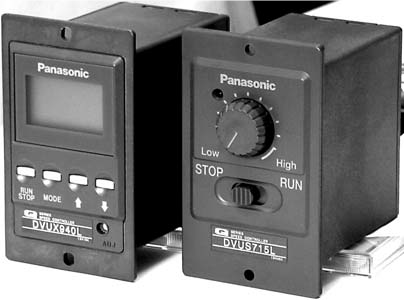 • Parallel operation Two or more motors can be controlled from a single control knob. 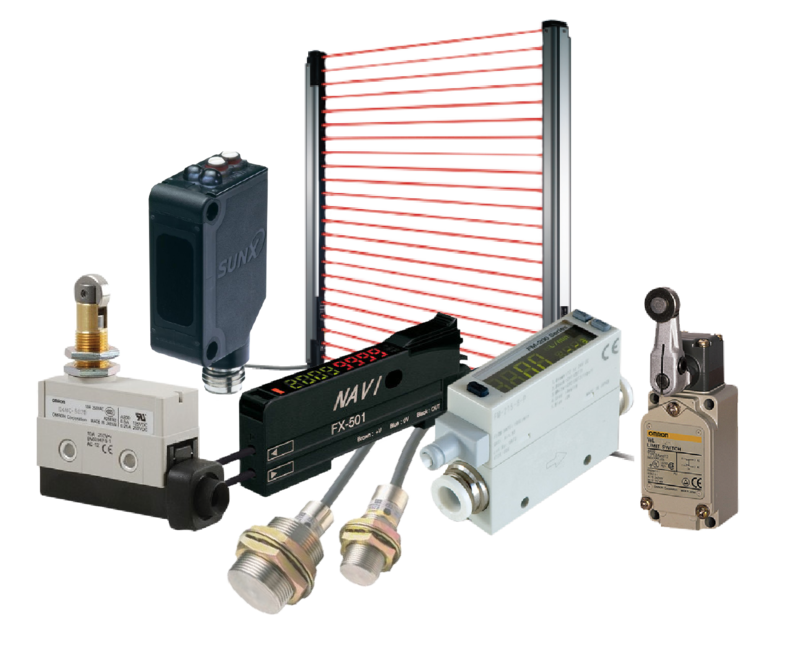 • Can link with various control systems Can control motor(s) in conjunction with different controlling systems such as sequencer. The voltage signal can also be used as control signal. • Simplified and neat wiring arrangement Main circuit and signal inputs are isolated on the terminal block. Use of 8-pin terminal block requires fewer wiring connections. • Extremely compact and low noise (compared with preceding models). 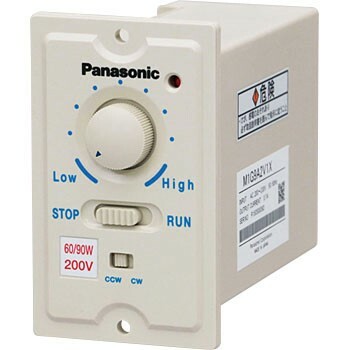 • Can control 3-phase 200 V motor by using single-phase 100 V power (use of voltage doubler). Single-phase 200 V version is available. 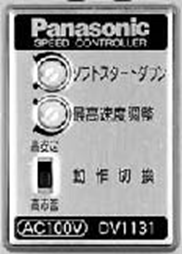 • Easy to operate control knob. 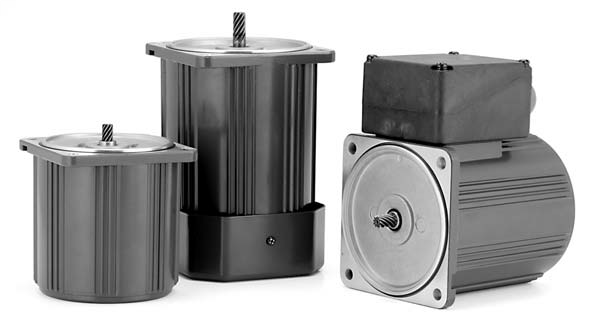 • Applicable to 3-phase motors. 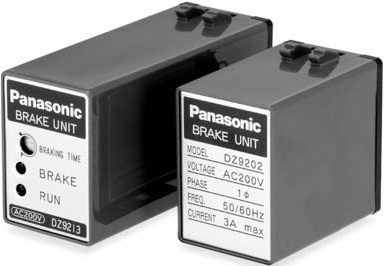 • These units are electric brakes that can stop motor immediately. • These brake units are divided into the contact (separate) type and contactless (48 mm sq. (1.89 inch sq.)) type. • Separate type brake units can be used with 3-phase motor. 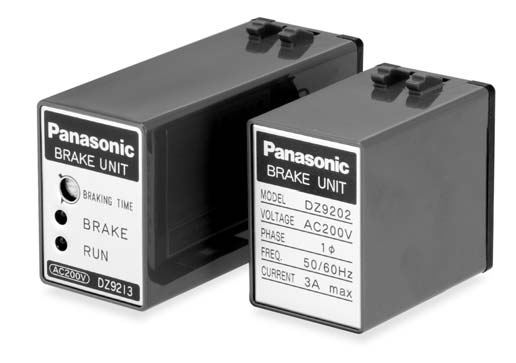 • These brake units are electric brakes used to instantaneously stop motors. • These electric brakes have longer life expectancy and can perform inching operation. 2.Can be used in combination with other commercially available SSR (contactless relay). 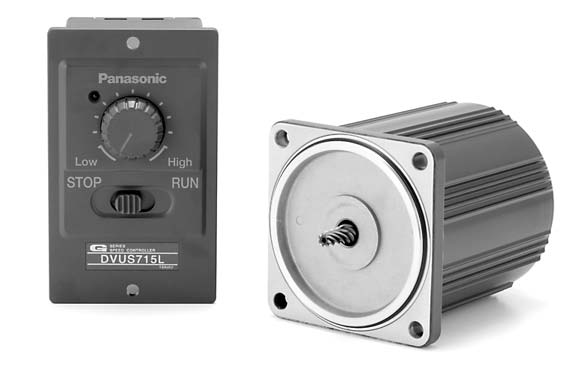 These combinations enable the use of electrical signals for “run” and “quick stop” control of motors. 3.The electric brake operates for approx. 0.5 sec. 1.Can be controlled using electrical signal. Electrical signal can be used for “run”, “quick stop” and “coast to stop” control of motors. 3.“Run” and “Instantaneous stop” lamps are provided. Unlike a relay control panel, wiring is not necessary. Contactless configuration requires no maintenance. • Various motor capacities can be selected. 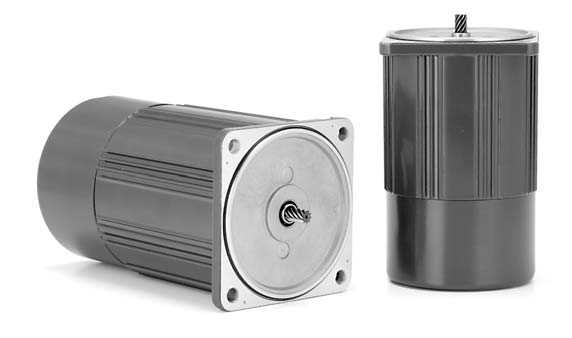 Can support 1 W to 90 W motors. 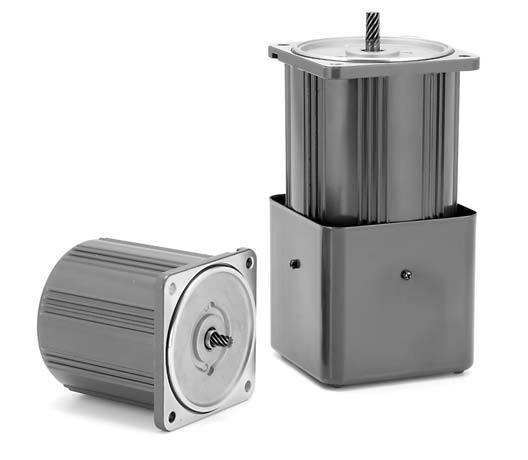 With 40 W or larger motors, selection can be made with the brake torque switch. Brake resistor is not required and wiring is simplified. Control panel can be sized to DIN standard at lower total cost. One option, mounting frame, for example, allows installation of the unit on the panel. The brake torque switch has “LOW” position. In this position, the brake torque is reduced. Time is simply adjustable from the selector switch.